LED Light Bulbs: Standard Lighting of the Future? Could LED Bulbs Become the Lighting Standard? Whether for vehicle light bulbs, home lighting, or commercial installations, LED lighting is quickly becoming the technology of choice. One reason: LEDs last much longer than traditional light bulbs. To be more precise, their life span can exceed 40X that of a traditional incandescent bulb, and about 4x longer than a “long-lasting” CFL. That means typical LED bulbs can work for 40,000 hours. This means if you put an LED bulb in your kid’s room when they are born, and use it around 4 hours every day, you won’t have to replace it until they are 27. Not only are they super long-lasting, but during that 27 years they will be using about 85% less electricity than the equivalent 40 incandescent bulbs which would’ve been used in this time frame. That means a savings of about $100. This is possible due to the efficiency of LEDs. 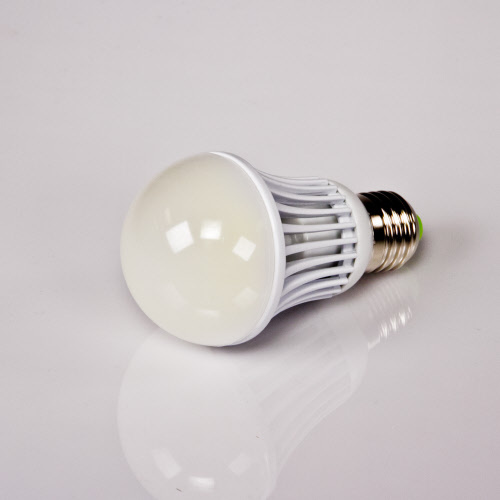 Unlike incandescent bulbs, which convert about 90% of their energy to heat, LEDs produce virtually no heat at all. LEDs have come a long way from only producing enough light to back-light small screens, and have become a very real alternative to older lighting technologies like incandescent bulbs or CFLs. When you finally replace that LED in your child’s bedroom, it will probably be with another one… but a much less expensive one. According to “Haitz’s law,” the cost of LEDs will drop 10x per lumen, while their light generating ability will increase 20x over the next 10 years. With this in mind, it seems LED technology will almost certainly become more widespread in the near future. In fact the widespread use of LED technology by 2027 could save about 348 TWh, which is equivalent to about 44 large coal power plants, and create a savings of over $30 billion in the U.S alone, according to U.S Department of Energy predictions. LEDs have come a long way in the past few years, and currently show no signs of slowing down. The efficiency and potential of these little lighting sources is sure to create a brighter future for all of us. Brian Limback works has worked in the lighting industry for years, and has a passion for eco-friendly high-tech lighting products. Previous article Good News: Eating Well Takes No Will Power! Good News: Eating Well Takes No Will Power!